Back in the day – the medieval day – there was both Merchant Guilds and Craft Guilds and they were equally important to civic life. Merchant Guilds were probably the first to appear, and constituted the nucleus for civic organisation; merchants formed organisations for mutual protection of their horses, wagons, and goods when travelling. Let’s call them the modern day Business Units. 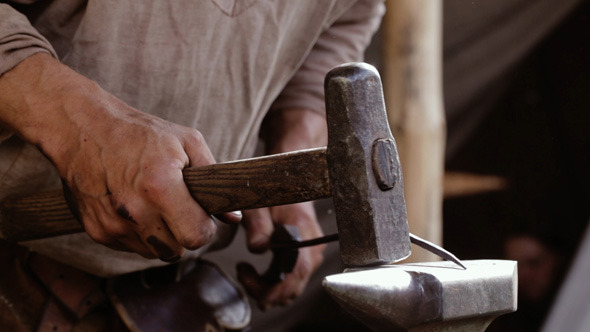 The Craft Guilds came about by increased specialisation of an industry; a group of artisans engaged in the same occupation, e.g., bakers, cobblers, stone masons, carpenters, etc. They would associate themselves together for protection and mutual aid. Shall we call these the Functional Teams, such as Human Resources, Finance, Sales, etc? As these craft guilds became as important as the older merchant guilds, their leaders began to demand a share in civic leadership, the proverbial seat at the table. We can call these the Leadership and Executive Teams. The purpose of the craft guilds was to maintain a monopoly of a particular craft especially against outsiders (competitors). For example, the harness-makers would get together and figure out what the owners of business needed from that trade then allow as many masters to set up shop as the business could support. If you’re a Human Resources leader, it’s your craft and you should seek to protect it and ensure it stays relevant and viable in this modern day version of civic life. To do this, you might have figured out that that you need to have two offerings. Firstly you need to be sure of how you display your conscious intentions to yourself and others; to design your persona, and make deliberate choices your role calls for. My colleague Justin Miles wrote a cool blog on this recently on developing an HR Leadership Persona. Then, you need to have your craft finely honed; it’s how your turn business strategies into people plans; how operating models get turned into great organisation design; how change gets implemented (not just installed) and how your differentiate a business through its talent. Finally it’s also how, in a function where so much of what’s done is called ‘soft’, you can solve problems by using the ‘hard’ instruments of numbers, data and insights. These are what we call the HR Levers that best differentiate our craft. It’s where we get to be the artisans that we want to be. They have evolved over time and just like the craft guilds – our tools and systems have gotten better, but we still do the same work. This is where you start. Understanding your organisation’s strategy and direction, and then articulating how this will be achieved through people – resources, capabilities, alignment, focus and impact. It should include how your HR actions impact on business results, articulating a long term view on how your HR actions will improve organisation performance; quantifying the impact they can have on the business and capability, and selling the organisation on the key HR agenda. Do this well, and you will garner support and credibility as a true business partner. You’re the organisation’s chief architect. First understand what an Operating Model is and how it bridges that organisations strategy and heritage. It’s important to understand this before you do detailed organisation design. Know all the components of organisational design and how to reconfigure work and resources to produce better outcomes. Following this, get the leaders in a room to design and integrate the components, changing the conversations from structure to include all components of design. This would normally include governance, processes, systems, rewards and capability. You need to be a master of managing change (remember, it’s all about people). Organisations need help to move beyond effective installation of their changes to an approach which ensures changes are implemented. This requires change programs which garner the commitment of the people involved and leads to changes in their actual behaviour. Who better to drive commitment and influence behaviours than HR? You have to be on the front-line of talent acquisition. Your ability to assess, source and retain the best talent through processes that build bench and fix capability gaps is recognised and valued by CEOs and business leaders alike. We understand that talent management requires an integrated approach and that the ‘pipeline’ concept conveys the ‘multi-year’ nature of the challenge. It’s also about developing a common language across the organisation to describe/define talent in a way that works for your business, and that people understand. 5. Knowing the business and the numbers. Speak the language of the business. To be seen as credible, and to earn a ‘seat at the table’, HR people must understand and speak the language of business (revenues, customers, products, margins, and numbers). It’s basic financial understanding that can illustrate your ability to analyse both commercial and HR data to reveal trends, opportunities and challenges. Identify and solve these and you can make a substantial business impact. These are the five critical levers of our craft. We debated the importance of employment relations, employee engagement, HRIS solutions, etc. While we see these as important, they are really table-stakes – important to have, but excellence in them won’t have the same impact on the organisation as the five critical levers. We don’t wish to offend anyone with our choices. However, choices have to be made as to how you spend your time; we believe you should pull the levers that really make a difference. The HR Mastery Program we’ve designed and developed here at Generator Talent is run purely to improve the capability of emerging HR Leaders. To help them determine the type of leader they want to be we work with them on developing their HR Persona. The program then equips them to enact this across the five levers of our craft – the ones that are most likely to positively impact the business results. It’s built to pass on the craft in a way that enable participants to get focussed really quickly on what will make a difference to them and their business. I can’t paint or sculpt well, and whilst I try my hardest to make my writing compelling, I’m certainly no Fitzgerald. What I have done and continue to do every working day is seek to get better at my craft. The thought of being an artist at something is seductive, and there are times when I am ‘in the flow’, and at these times I allow myself the sneaky title of master. Who knows, one day I might just say it out loud. The next HR Mastery Program will be held in Sydney, 3rd thru 7th November 2014.